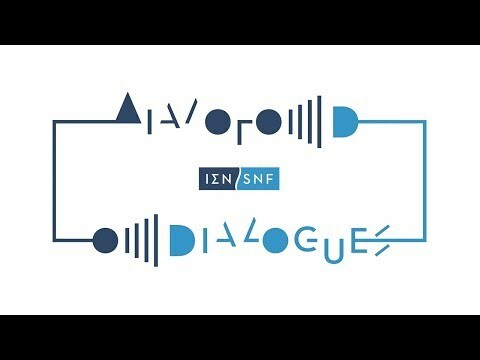 On Wednesday, November 8th 2017, the SNF held the inaugural event of its Dialogues series at the Stavros Niarchos Foundation Cultural Center (SNFCC), when the SNF presented its new grants, which will be implemented in the near future, in collaboration with organizations in Greece and abroad. During the first event of the series, the SNF presented some of its recent grants, by program area, with videos and an onstage discussion with representatives of the grantee organizations, as well as direct beneficiaries. Indicatively, these included grants to the Greek Basketball Coaches Association, the Greek National Opera’s Alternative Stage, the Society for the Protection of Prespa, the 401 Military Hospital of Athens, as well as grants supporting scholarship and lifelong learning programs. The discussion centered around synergies in local communities, the transfer of best practices, the importance of lifelong learning, the significance of accessibility to healthcare services and the arts, while, at the start of the event, members of the SNF’s Programs Department shared stories from their day-to-day contact with organizations that are active all over Greece and internationally. In the second part of the event, the Co-President of the SNF, Mr. Andreas Dracopoulos, welcomed on stage the Greek Minister of Health, Mr. Andreas Xanthos, and the Greek Alternate Health Minister, Mr. Pavlos Polakis, for a discussion on the recent announcement by the SNF, to commit grants totaling more than €200 million to further enhance the Health sector in Greece, with a series of infrastructure and education projects.